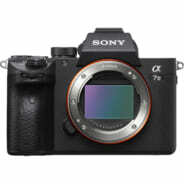 Bringing the speed Sony mirrorless shooters have been waiting for, the Alpha a9 Mirrorless Digital Camera takes impressive multimedia capabilities and ups the processing capabilities for ultra-fast continuous shooting. Making use of a 24.2MP full-frame Exmor RS stacked CMOS sensor and BIONZ X image processor, the a9 is capable of shooting at up to 20 fps, recording UHD 4K video internally, and shooting with an expanded sensitivity range to ISO 204,800. Balancing the quickness of the processor is a well-matched 693-point phase-detection autofocus system that covers 93% of the image area for accurate and quick subject tracking in a variety of lighting conditions. Additionally, complementing both the imaging and focusing assets, the a9 also sports 5-axis SteadyShot INSIDE image stabilization to minimize the appearance of camera shake when shooting handheld. Matching its professional imaging capabilities is a well-rounded physical construction that is fully weather-sealed for use in trying environmental conditions. For clear, uncompromised viewing, a quad-VGA OLED Tru-Finder is featured with an impressive 3.686m-dot resolution and 120 fps refresh rate for clear, bright, and smooth eye-level viewing. Alternatively, a 3.0″ 1.44m-dot tilting touchscreen LCD is also available to benefit working from high and low angles. 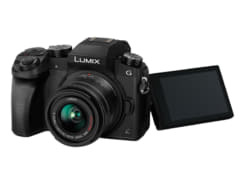 Dual SD memory card slots, a customizable menu system, and a variety of physical control dials further round out the camera’s intuitive design, and built-in Wi-Fi and Bluetooth enables wireless image sharing and remote camera control from linked mobile devices. Poised for speed, the a9 features a first-for-full-frame 24.2MP Exmor RS stacked CMOS that affords impressively quick readout speeds to benefit up to 20 fps continuous shooting and UHD 4K video recording. 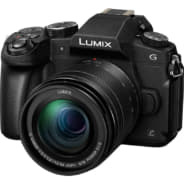 The sensor’s back-illuminated design also affords high sensitivity to an extended ISO 204,800 with reduced noise for clean image quality in a variety of lighting conditions. Additionally, uncompressed raw files can be recorded in 14-bit for greater color fidelity and post-production flexibility. Working in conjunction with the stacked CMOS sensor is an apt BIONZ X image processor that ensures quick processing speeds to keep up with fast-paced shooting applications. 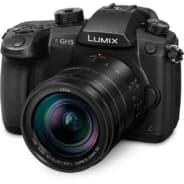 Continuous shooting up to 20 fps is supported for up to 362 consecutive JPEGs, or 241 raw frames, along with a top electronic shutter speed of 1/32,000 for freezing fast-moving subjects or working in bright lighting conditions. Benefitting the fast recording capabilities is an equally quick AF/AE metering system that functions at 60 times per second to continuously evaluate the scene in order to lock onto and track moving subjects. Additionally, due to the use of an electronic shutter, totally blackout-free monitoring is possible with the electronic viewfinder for more accurate compositions of moving subjects. Covering 93% of the image area, a focal-plane phase-detection autofocus system incorporates 693 points along with 25 contrast-detection areas for quick and precise focusing in in a variety of lighting conditions with sensitivity down to -3 EV. The density of focusing points from this hybrid AF system also enables High-density Tracking AF Technology, which is adept at tracking moving subjects in a variety of lighting conditions. The use of phase-detection points also enables the use of A-mount lenses via the optional LA-EA3 or LA-EA1 lens mount adapters with full continuous AF/AE tracking compatibility. The apt focus system also lends itself to a variety of focusing functions for refined accuracy, including Lock-on AF, which maintains focus on moving subjects throughout the use of a configurable frame that is set over the desired moving subject, and Expand Flexible Spot, which employs neighboring focus points to retain focus on moving subjects even if the originally selected point loses focus. Additionally, Eye AF can be used to base focus on recognized subjects’ eyes for portraits and is available in both AF-S and AF-C modes. Autofocus can also be used in conjunction with the Focus Magnifier function for critical focus when homing in on minute subject details. In addition to autofocus, the a9 also features a Peaking MF function to benefit manual focus control by highlighting sharp edges of contrast for a more objective means of acquiring sharp focus. 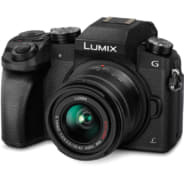 Packed into the robust a9 is a 5-stop effective 5-axis SteadyShot INSIDE image stabilization system that compensates for five different types of camera shake encountered during handheld shooting of stills and video. This allows users to confidently use any lens, even adapted lenses, for critical imaging without encountering blur from camera shake. Internal recording of UHD 4K movies is possible in multiple frame rates up to 30 fps and, based on the Super35mm recording area and effective 20MP (6000 x 3376) resolution, 2.4x oversampling renders greater detail and full pixel readout is possible, that is void of pixel binning, for higher quality imagery with reduced moiré and aliasing. Full HD 1080p recording is also supported in frame rates up to 120 fps, and both resolutions utilize the 100 Mbps XAVC S format contained within an MP4 wrapper with 4:2:0 sampling. The high-speed, 120 fps recording also enables 4x and 5x slow-motion movie recording with the frame rate set to either 30p or 24p. In addition to high-resolution internal recording, uncompressed HDMI output also enables the use of an optional external recorder for clean 4K recording with 4:2:2 sampling. 4K video recording also avails the ability to produce 8MP stills during playback by taking a frame grab from a movie and storing it as a separate file. Take more control over your video capture capabilities with a variety of new frame rates available in an S&Q mode. This will allow shooters to capture Full HD video at one of either steps between 1-120 fps. These settings will allow you to slow down action as well as speed up a slow-moving scene. This setting is also NTSC/PAL switchable. An enhanced Zebra function is ideally suited to aid in monitoring exposure values in high-contrast scenes. Video signal level targets can be set from 0 to 109, and specific ranges can be set to make exposure level adjustments easier. A time code can be used to record hours, minutes, seconds, frames on image data for more precise editing while the User Bit function can record date, time, and scene number to aid in editing together footage from multiple cameras. Quad-VGA OLED Tru-Finder features a 3.686m-dot resolution and a 0.78x magnification for bright and clear viewing. The EVF also sports a Zeiss T* anti-reflective coating to reduce reflections and a high 120 fps refresh rate can be used to reduce lag for a smoother viewing experience. Additionally, a fluorine coating has been applied to the outermost viewfinder element to benefit cleaning. Rear 3.0″ 1.44m-dot tilting touchscreen LCD is available for live view shooting and menu navigation. The touchscreen enables Touch Focus for intuitive adjustment of your focus point, and the tilting design benefits working from both high and low angles. Dual SD card slots provide a more flexible means for storing files. 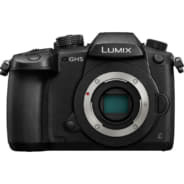 The lower card slot supports UHS-II type cards, and the slots can be configured to do an in-camera backup, segregated raw/JPEG recording, or overflow saving. My Menu function can be used to customize your menu items for easy, direct access with up to 72 options to be set and ordered. Stacked drive mode and focus mode dials, a dedicated AF-ON button, and a rear multi-selector all afford greater efficiency when switching focus modes, points, or exposure settings. Integrated LAN terminal enables making wired FTP transfers for notably fast transfer speeds. Also, the first three characters of the file name can be customized for easier organization during post-production. Built-in Wi-Fi enables the a9 to instantly share imagery to mobile devices for direct sharing online to social networking, via email, and to cloud storage sites. NFC (Near Field Communication) is also supported, which allows for one-touch connection between the camera and compatible mobile devices; no complex set-up is required. Once connected, the linked mobile device can also display a live view image on its screen and remotely control the camera’s shutter. Magnesium-alloy body design is both lightweight and durable, and also weather-sealed for use in trying environmental conditions. Integrated PC sync terminal for wired flash sync with strobe packs or wireless radio remotes. Image sensors and innovative image processing systems further enhance the image quality. 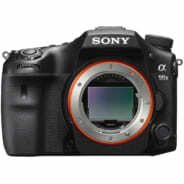 Want to order products Sony Alpha A9 Please leave a message. We will contact you as soon as we receive your request.